A close-up of a standing archer. The final day of the Terra Cotta Warrior Exhibit at the National Geographic Museum is the hottest ticket in town Wednesday. Ticketless, Michael Naso showed up anyway and hoped to find some, with no luck after three hours. “Today is the last day, so no one wants to give up the tickets,” he said. Those fortunate enough to get inside got a rare up close look at Chinese history. 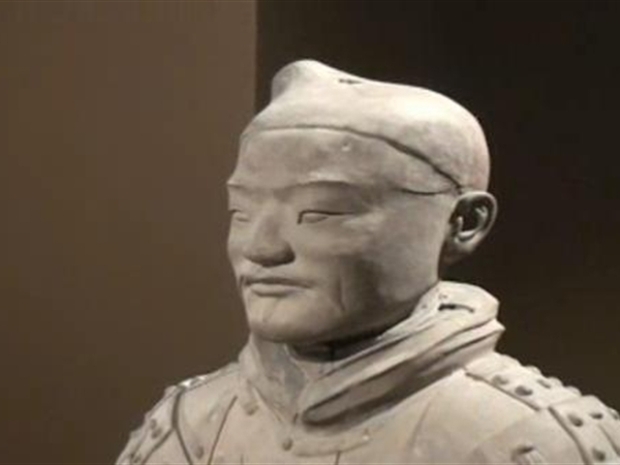 The statues were crafted for the first emperor of China, who ruled from 221 to 210 BC. “He wanted everyone and everybody who took care of him in his earthly life to take care of him in his afterlife,” said Susan Norton, Director of the National Geographic Museum. It’s believed almost 7,000 statues were placed in the tomb to protect the emperor. So far, almost 1,000 have been found. What’s unique is that no two of these hand-crafted faces are alike. That’s just part of the draw for the almost 275,000 visitors who have flocked to the exhibit since November. And for the Michaels of the world unable to get a ticket, there was still one more chance to get inside. Two hundred free tickets were handed out for the 6 p.m. show, but people have been lining since early this morning. “I got here about 9:30,” said Patricia Mok. “About 9:32 two minutes after Patricia,” said Julie Reiter. “It’s a big cultural historical thing and it’s much cheaper than a trip to China, so I just wanted to see it before it’s gone. After midnight, the largest terra cotta warrior tour of the U.S. -- 15 statues -- will return to China. 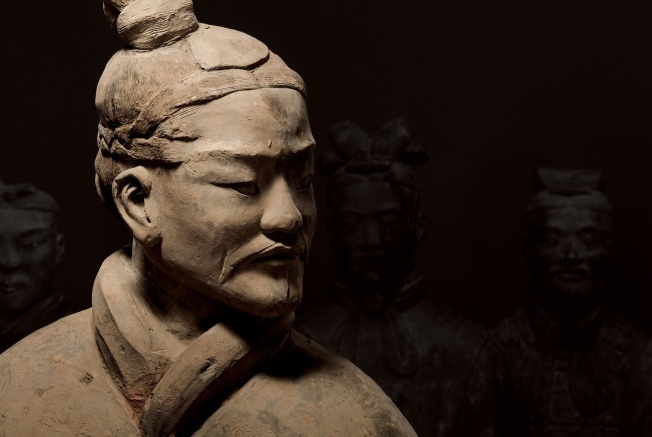 John Schriffen reports on ticket demands for the last day of the wildly popular Terra Cotta Warrior exhibit at the National Geographic Museum.